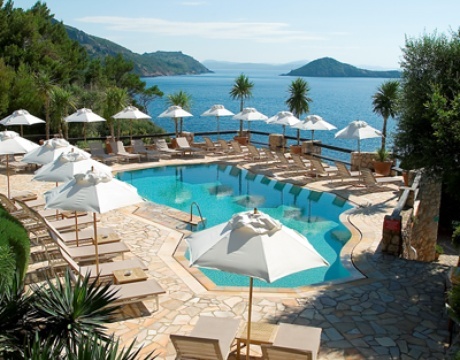 Umbrellas, a pool, a view. Not bad. 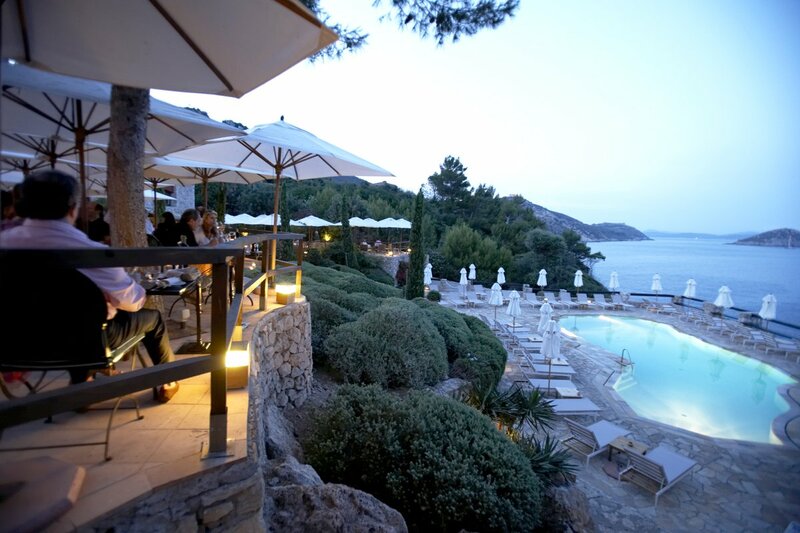 All photos courtesy of Il Pellicano. 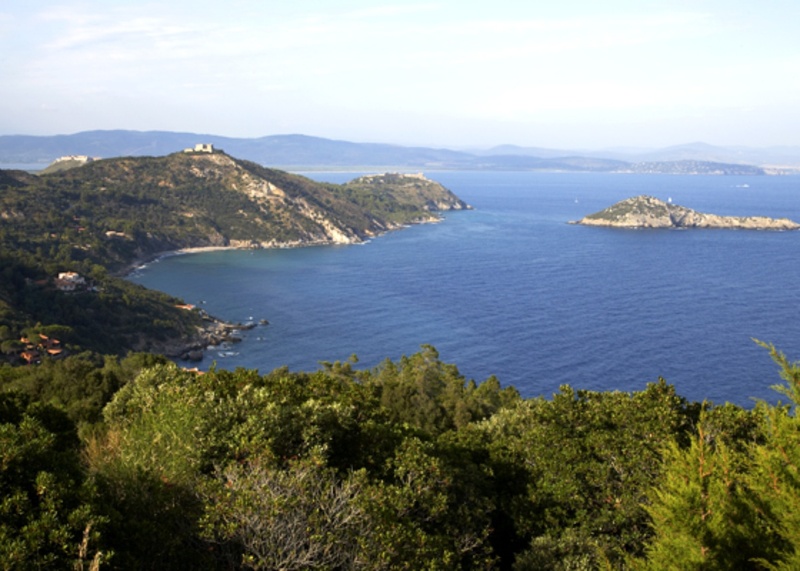 Just off the Tuscan coastline equidistant to Rome and Florence lies Monte Argentario, a bizarrely-shaped peninsula connected to the mainland by three narrow strips of land. 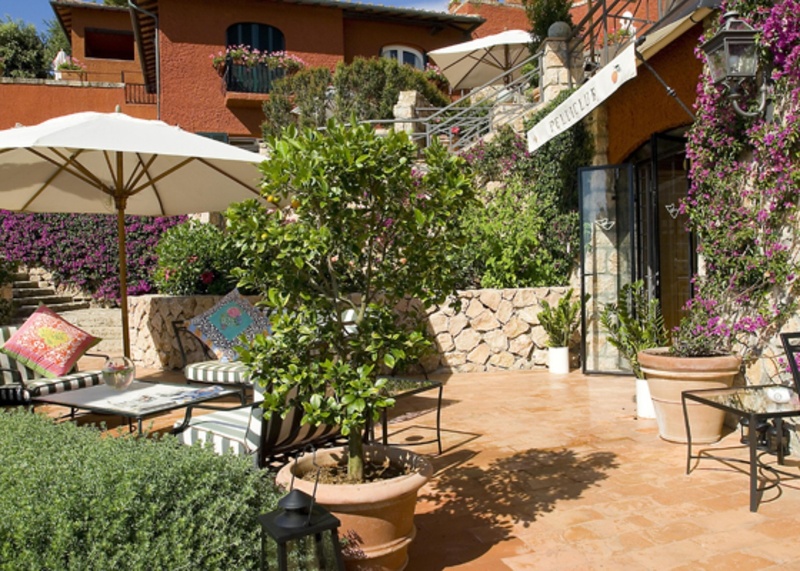 Gentedimontagna contributing editor Christina Ohly and her family checked into Il Pellicano, a posh hotel in Porto Ercole on the southern end of the island. There are a few places left on earth where genocide, the crumbling euro, and any sort of reality simply cease to exist. 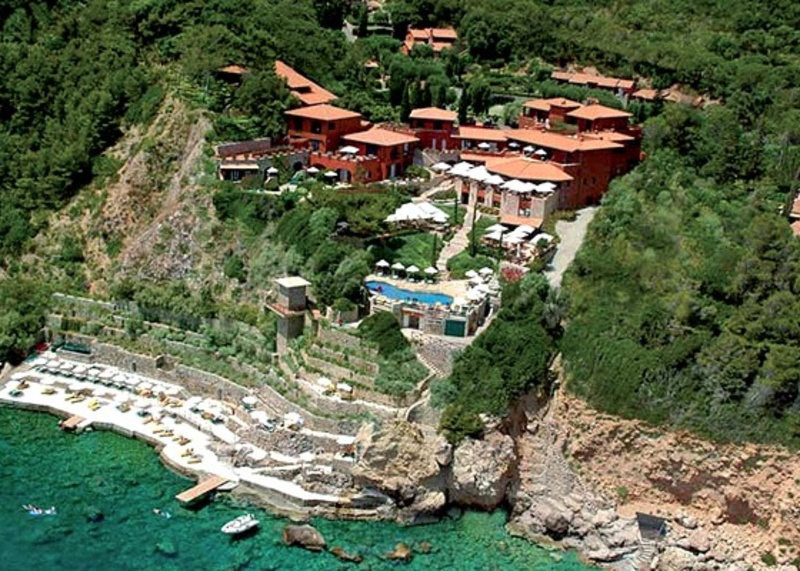 , a luxurious yet laid back bolthole on Italy's Tuscan coast, is one such place. It's personal and cool, which makes it endearing. And it's a little shabby chic, which means there definitely won't be rappers or Russian oligarchs occupying the next beach chair. My family and I recently spent a few languid days of sun, spa, and signature jumbo club sandwiches delivered poolside. Dolce vita indeed. Not too much. This is Italy, after all, where the stars of a "big" day are your iconic yellow-and-white pool lounger and copious amounts of the hotel's freshly squeezed succhi di frutta (apricot, peach, and blueberry varieties are excellent). 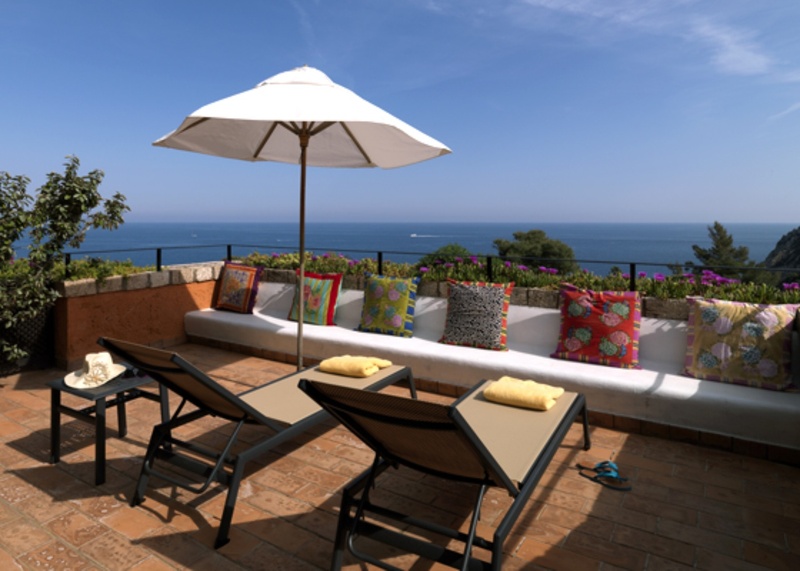 This is the place to quietly read, reflect, and play the odd game of tennis or backgammon. The most strenuous decision you'll encounter is whether to take a day trip on Pellicano's elegant wooden boat, Riva (so Med! ), from the private, cliff-side dock or whether to order local langoustines for lunch. Despite its price point (25 euros for a sandwich), Il Pellicano feels small, chic, and casual, with a library, DVDs, tennis rackets, and ping pong paddles all for communal use. Definitely take it off campus at least once to explore nearby towns like Pitigliano, where you'll find Etruscan ruins and typical Tuscan trattorias. And Sovana, a medieval village with a wonderful palazzo and picturesque pizzas. 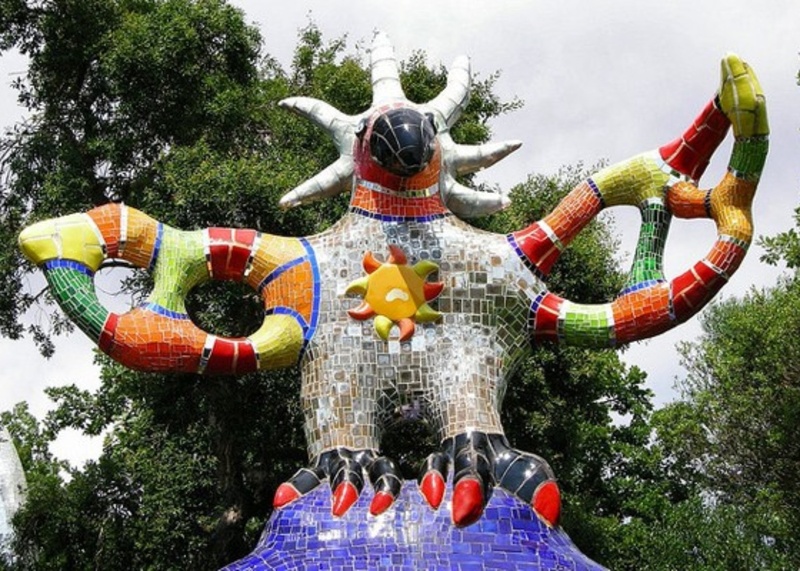 Kids will love ("Tarot Garden"), Niki de Saint Phalle's brightly-colored sculptural park. is a wonderful place to see wildlife and explore the area on horseback. Food is, naturally, a major focus of any Italian day, and the options here will not disappoint. Everything is delicious and locally sourced: the enormous breakfast served on an idyllic terrace, lunch al fresco at the Tuscan , and lavish, two-Michelin-starred . What this place really has going for it is that they serve food that you really want to eat — gazpacho, insalata caprese, and spaghetti alla chitarra ai frutti di mare (seafood galore) — and not overdone, complicated dishes. That said, when the craving for a plain, wood-fired pizza strikes, you won't find it here. 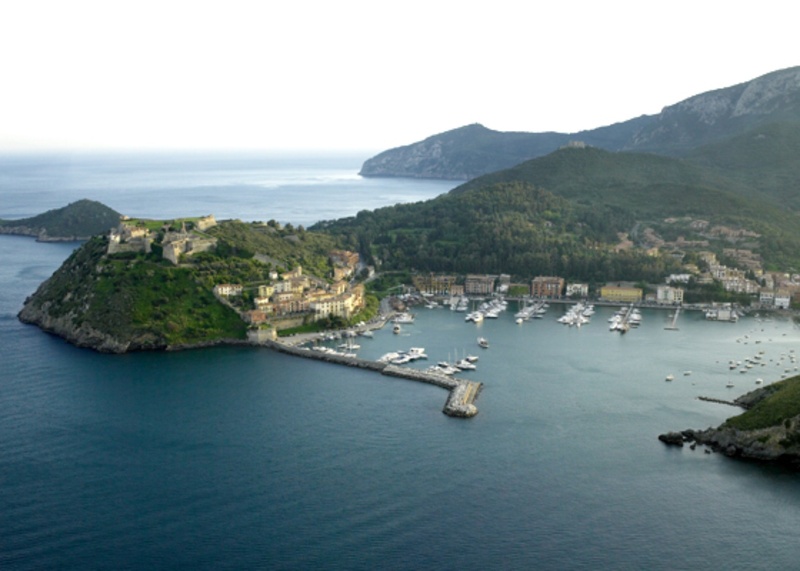 This is when you head into town for dinner on the charming Porto Ercole harbor, where you'll find a bustling, yet low-key nightlife that is focused on families wandering the piers and eating in outdoor trattorias. The best among these are and La Lampara (Lungo Mare Andrea Doria, 68; +39-0564-833024), where you'll eat the homemade pastas, line-caught seabass, and crispy pizzas that inspired your trip in the first place. 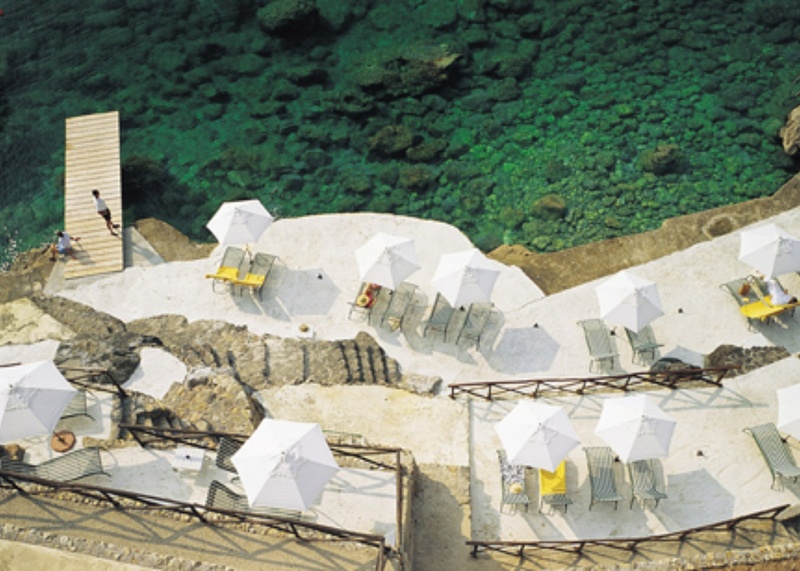 The chairs at the water's edge at Il Pellicano afford views of the deep, blue sea with majestic islands dotted across the horizon. This is the perfect place to watch scantily clad Europeans slather themselves in oil, light the occasional cigarette, and gesticulate wildly as they speak many different languages. Two days, and you'll feel completely removed from any worries you may have had going in. The and are also pretty wonderful at Il Pellicano. The carefully curated store has Eres bathing suits, Anya Hindmarch bags with Porto Ercole imagery, and perfectly floaty sarongs that play well in this part of the world. This being Italy, the entire is yours to use — even at peak hours — which is a nice touch at such a small resort. Luxurious (if wildly expensive) massages and pedicures are also available with minimal advance notice. If ever there were a place to sip tropical cocktails, it's at , conveniently located between the pool and the main house. Watch dusk give way to starry skies with a summer Bellini (and at 23 Euros per, you might want just one) and raise a glass to your good fortune. 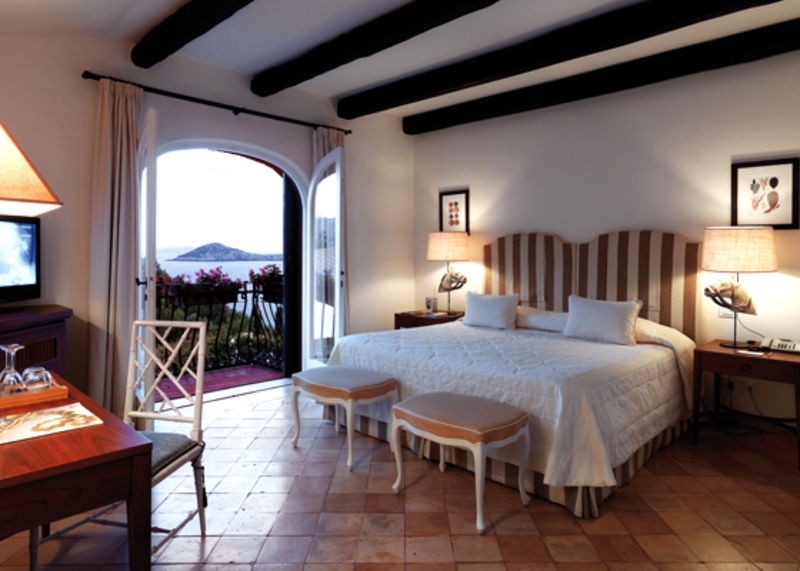 There are a variety of room types at Il Pellicano. None work particularly well for families as they do not inter-connect. Then again, this place doesn't have kid-friendly written all over it any way, which I mean in the best possible way. If you're looking for value for money, get a garden view room, which has a pleasant terrace and views of the tennis court or surrounding mountain landscape. 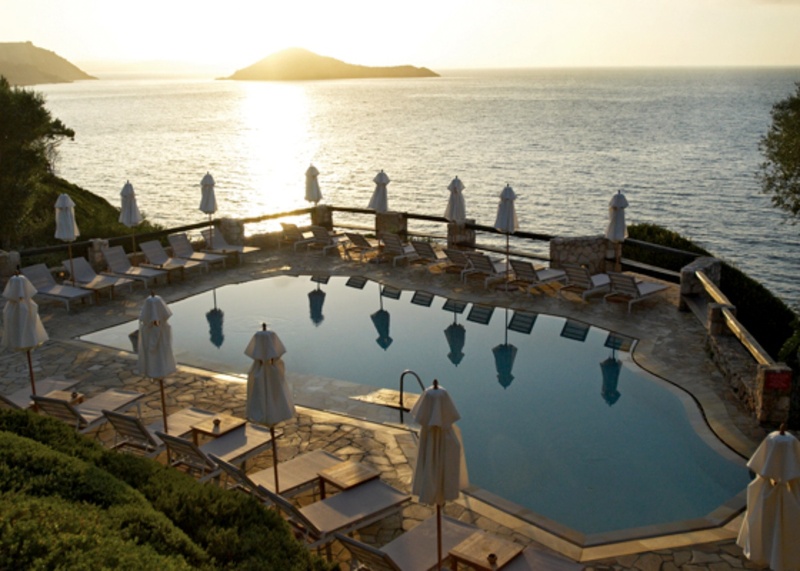 Stunning rooms with sea views will more than triple the price but are ideal for special, secluded stays. The drinks and snacks in the mini bar are free — though not much else is. Bring a bottle of water or an aranciata with you to the pool, and you'll save approximately 9 euros a pop. Fly: One of the selling points of Porto Ercole — and the Maremma area of Tuscany in general — is its ease of execution on the travel front. Fly to Rome or Florence and you're gazing out over the sea in just under two hours. Drive: The resort is on a cliff and it's not near much. You'll absolutely need to rent a car to get to there and to explore the small towns.